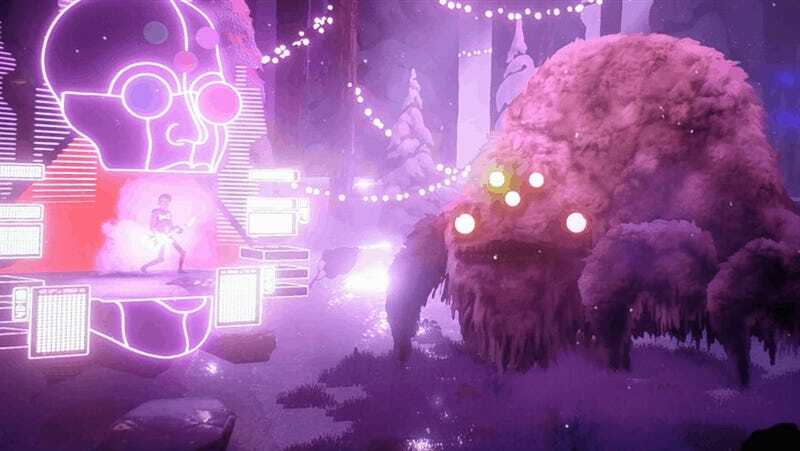 The short PAX East demo of The Artful Escape of Francis Vendetti showed off a psychedelic, sonically gripping action platformer that drew in attendees with its confident chord progressions and very good rock monsters. 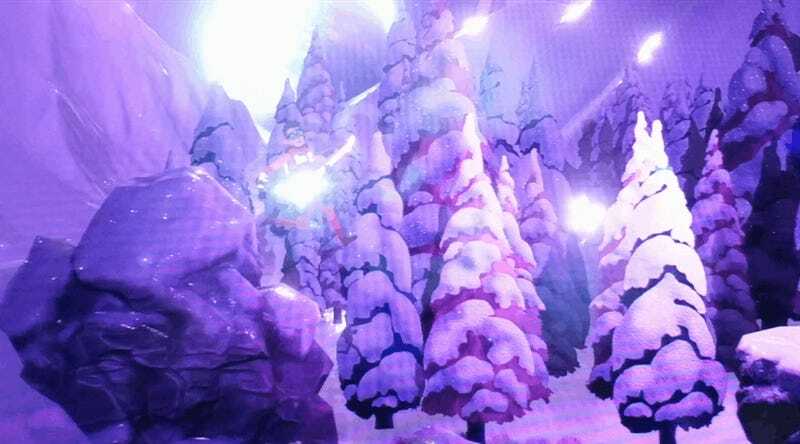 In the game, Galvatron’s doodles, visualized as enormous, shimmering creatures, challenge protagonist Francis Vendetti to jam with them, a sort of Simon-Says rhythm game that produces harmonies fitting an ‘80s rock anthem. Vendetti’s uncle is a Bob Dylan-type whose musical ambitions help guide him through the realm of space monsters, where Vendetti is looking for stage persona inspiration. Until he went full-time as as a game developer, Galvatron was an internationally touring lead singer and guitarist for The Galvatrons, an Australian rock group. He composed the lion’s share of The Artful Escape’s sound, with fellow musician John Abrahams contributing and producing. When I made Vendetti jam with a huge, fuzzy space spider, Galvatron raised his hands when they hit the higher notes. “I love the world around music,” Galvatron told me, himself in a studded denim jacket. “The peripheral creative elements, the image and perception.” Throughout the demo, he adjusted the knobs on the headphone audio to his taste, depending on the scene’s intensity. 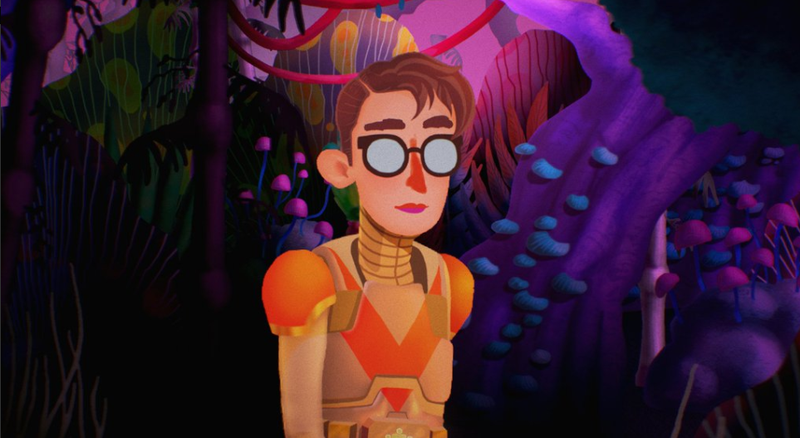 After an unsuccessful Kickstarter, publisher Annapurna picked up The Artful Escape of Francis Vendetti. It doesn’t yet have a release date, but it will be available for Xbox, PS4 and PC sometime that’s not this year. It’s like nothing I’ve ever seen, a sci-fi space opera of a platformer that takes its whimsy very seriously.